This weekend, I experienced an epiphany. I love those. I still remember sitting in my AP U.S. History high school class 12(?) years ago, learning all these things about history that had so far been unconnected in my mind, and how they relate to today. Unbelievable (and one reason I became an educator myself). This was a sewing epiphany, though - one that affected me so much that I had to immediately write about it (hence this post). In the sewing world, we talk a lot about finished projects and fabric piles and color theory and taking classes. All those things are great. Can we talk some more about growing our skills and being confident to try something new? I tend to be a worrier (and sometimes I bottle it up - only those closest to me really know what I'm thinking, sometimes more than I do). I've improved over time, though. People say that "things have a way of working out" and it's one of my pet peeves, but it's true. Plus, one thing that sewing has done for me over 8 years has made me less anxious. Yes, it's a time and monetary investment (fabric and tools, especially the good stuff you want to use to make things last, can cost major $$). But I think it's also an investment in yourself. When you learn how to sew and keep at it even just here and there, you are giving yourself an outlet for creativity. You teach yourself problem-solving skills. You learn to be resourceful (for example, for this project, I didn't want to hunt down/have to go buy more elastic, so I just reused the band from my last project - yay for recycling!). You learn how to trust yourself with dangerous (yes, dangerous!) tools (did I think I would be using a rotary cutter so fearlessly 8 years ago? Heck no). You learn patience (remember those time[s] you had to rip out 20 minutes of small stitches under a deadline? That was me this weekend!). But most of all, over time, you learn to be confident. This confidence builds up in small ways. First, you learn how to operate a sewing machine and thread it so fast and well that you hardly have to pay attention. It's like the joy of finishing a 500 piece puzzle. Every time I notice this, I totally cheer in my head. I still remember taking 10/15 minutes just to thread my first machine! Then, you learn how to care for and solve machine problems. Did your thread just break? Yep, let's adjust that tension. Is it right yet? Nope, let's change the bobbin. And on and on. And then you develop a system. I'm a very confident quiltmaker at this point, but with most other projects (like my recent pouches, for example - and ESPECIALLY garments), I need a bit of hand-holding. And that's okay! I'm not a master seamstress by any means and don't pretend to be. 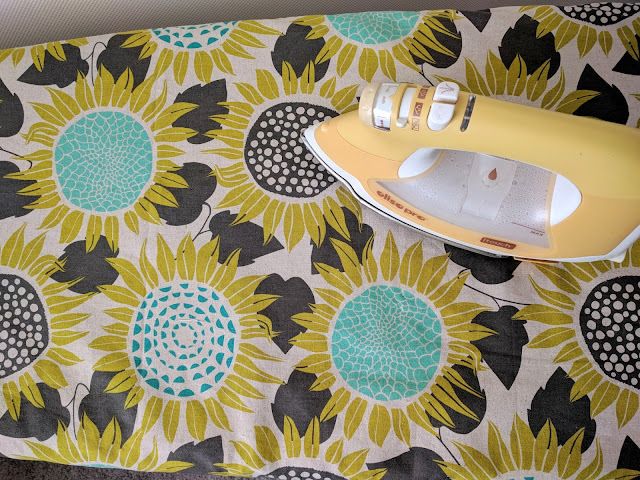 My ironing board cover was looking quite a bit worse for wear lately; the last time I had changed it was 3 summers ago. Water stains, burns, the whole deal. Maybe it was time to change it... but I have hazy memories of long seams, fumbling with elastic, etc. Ugh. BUT, then I remembered. I've done this before. I certainly can do it again, and probably faster, too. It turned out that just by examining my old cover, I was able to figure out how to make the new one. This was an awesome feeling. I laid my new fabric out and traced the old cover on top with a washable fabric pen, then cut it out and sewed on some unused binding as bias tape (I save my binding scraps). After safety-pin-squeezing my recycled elastic through, I tested the cover's size on my board, and sewed the last couple of seams. I also cut out two layers of cotton batting to sit beneath the cover. Here's a good example of what I did. Once I started the process, I had lost my anxiety/apathy completely. In fact, I registered vaguely that I felt quite at peace. After all, I love the fabric (sunflower canvas from the new Front Yard fabric collection by Sarah Watts for Cotton+Steel) - but it's just fabric. And I've built my skills enough to know that all will be well. And now I have a pretty new cover that only took a couple hours to make! Have you had a sewing epiphany lately, or a moment when you've appreciated how far you've come? Do tell! It's awesome that you noticed that you felt as peace once you were settled into working on the project! I have a few things that this brings to mind for me. 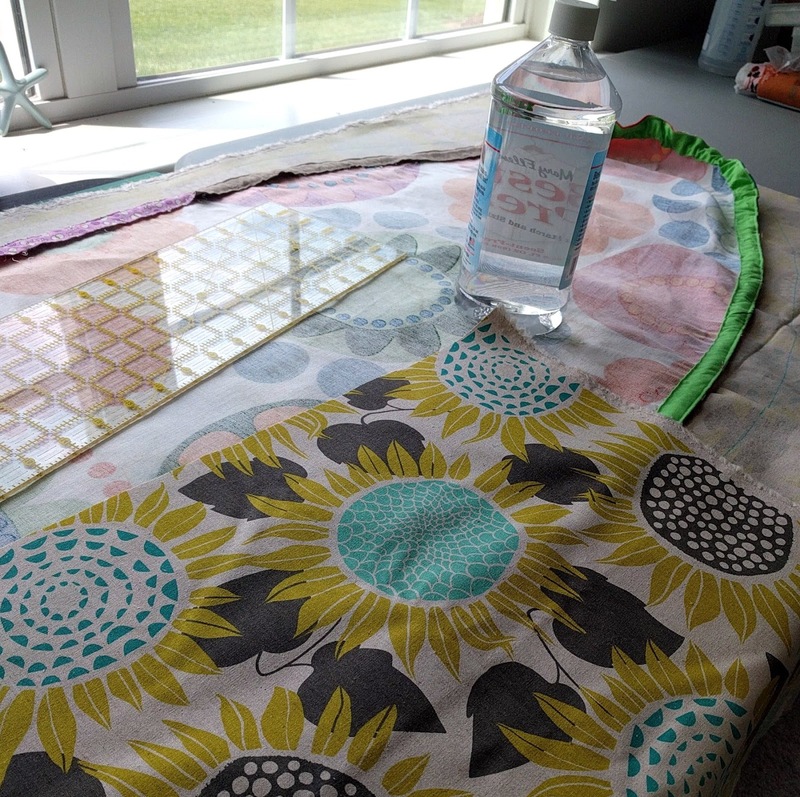 I'm hand quilting a piece right now, and I am quite positive that I am doing all the "wrong" things, but I don't care. It has been a very therapeutic process and I'm thrilled with the results. Is it right? Is it perfect? No. But it's just what I needed right now. 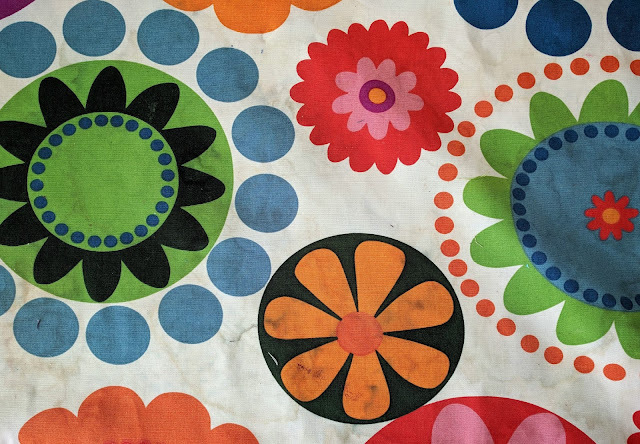 I also have an upcoming sewing project / bag canvas thingy that I need to make and figuring it out with my husband, I have a bit of apprehension. But I'm pretty sure I'll make a muslin test piece and find that it's not so bad once I get going on it. i have been sewing since i was a little girl and i started on a treadle. i had to sew then to compete stylishly with my peers at school. but that old machine never sewed a clean line and i was never content with the outcome. but it was good enough. i always tell my daughter "only the great spirit is perfect." somewhat recently i worked for a lady in an alterations shop on old broken down machines. i learned that speed was what was important to her. no room for perfection there. as my eyesight fails, getting the thread in the needle is what is important there. and as i work on my latest art project, just finding room to set up my machine is difficult and i have reverted to hand sewing. the cycle of life. I had one yesterday! I got to the end of the day, after sewing all day, and realized everything I'd done needed to be put in the scrap bucket - the colours were just all wrong. Years ago, that sort of thing would have sent me into a complete tailspin. But as I was telling my mom, 'It's okay. Days like that happen. And the best part was that I didn't know I was having a day like that at the time, so I was totally enjoying myself sewing at the time.' And it's the same with my seam-ripper. I remember when I used to get so upset whenever I needed to rip anything. But once I made the mental adjustment from 'Ripping is for mistakes - don't ever make any!' to 'Ripping is part of every project' then I was able to pick up my ripper without any hard feelings. I just needed to change the way I thought about it. This was me on Saturday! I opened up this month's bee block and was briefly paralyzed that there weren't full instructions. Then without even fully realizing it, I mentally picked apart the block to figure out the construction. Then I recognized I would have to do a partial seam and fretted some more. I told myself to just start and do as much as I could until I got stuck. And (surprise!) that never happened, even with the partial seam. I would never have had the confidence to do that before joining the guild. You guys are amazing and inspiring! I had a non sewing epiphany yesterday, do you mind? I have a 40 mi trip to town, and only 10 of it is paved. There are 2 streets that take you into the very small town of Winnett, MT from the highway, one paved and one gravel. It occurred to me just this week that I will make it a conscious point of principle to never drive the gravel block or two into town again...why would I not use the paved road, when I already have 30+ miles of gravel/dirt to get there in the first place?! It may seem very irrelevant to your post, but it was quite an epiphany for me! It is the little things, indeed! xo! Its funny, I was having just the other thought. I am a quick learner and self taught on many things. I worked in a quilt store and was always eager to try the newest techniques. So, I feel like a jack of all trades and master of none. It is good when we get these things figured out and can move on or through them. Congrats on your new board - it is fab! What a clever ironing board cover. I recently made a new one, and it is kinda plain but functional. That fabric you used is so cute. I remember the first time I saw my mother thread a sewing machine. I was so incredibly impressed, because I was taking home ec at the time, and knew that it was a difficult task. She deflected the compliment and said it wasn't hard. So now when I thread a machine quickly, sometimes I remember that and give myself a pat on the back. 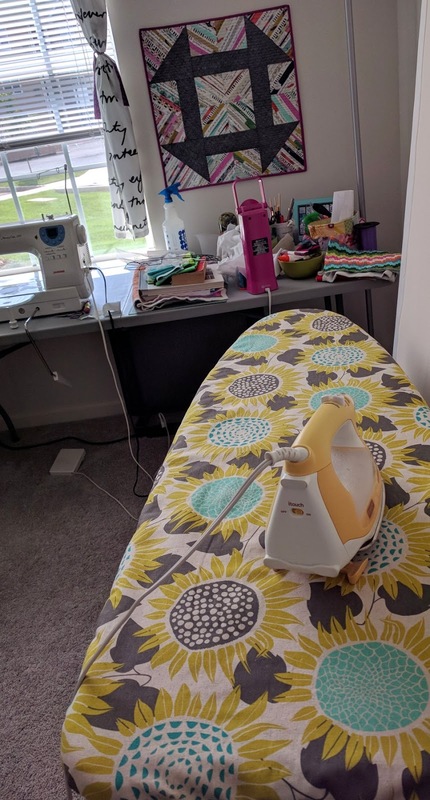 Congratulations on the great ironing board cover, and your renewed confidence. I kind of go back and forth with my feelings about my sewing. One moment I am thinking that my project is perfect, things matching up well, great colors and then...the next project, I feel all thumbs, I can’t do it at all, looks clumsy. Yup, I am working on something that is not in my wheelhouse BUT I will continue and remember that finished is better than perfect. Thanks for sharing. 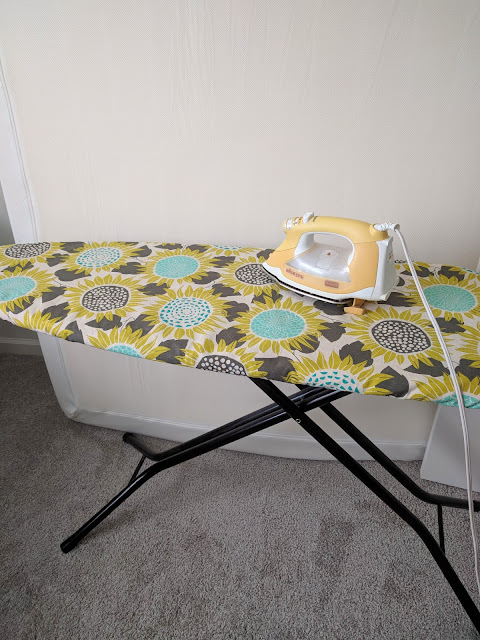 These are interesting ideas, thank you for a thought-provoking read - and the inspiration to make an ironing board cover!